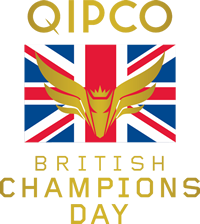 The Tin Man, trained in Newmarket by James Fanshawe, won the QIPCO British Champions Sprint Stakes for the Fred Archer Racing syndicate. As Fanshawe put it: "They have owned two horses - this one, who will be rated about 120 after this race, and the other rated 57." Fourth in this race last year - when Muhaaarar won - The Tin Man had not won at the top level before, but being a four-year-old gelding he could race on for many years. 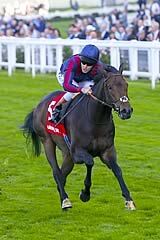 A 13/2 shot, ridden by Tom Queally, he scored by a length and a short-head from Growl (50/1) and Brando (14/1), and became Fanshawe's second victory in the race - Deacon Blues, a half-brother to The Tin Man, won it in 2011, and the stable also landed the 2013 QIPCO British Champions Fillies & Mares Stakes with Seal Of Approval. Fanshawe said: "He's been a very difficult horse to get right this year - in the Spring he didn't really thrive, and while I thought I'd got him right for Royal Ascot it didn't work out. Then the ground came up soft at Haydock [Sprint Cup] and so this is the first time this year we've had a really clear run with him, although it's easy to say in hindsight. "It's been a really big team effort to get him right for today. Jacko [his wife] started the Fred Archer Syndicate - Archer built my yard. He's a very exciting horse and on his day he's very good, but you've got to get them right. "It's great for Tom [Queally] who has been a big help to the yard this year - he rode him really coolly and stuck to the way he said he would ride him and it's great to see him riding a Group One winner again. "It's also great for my son Tom , who rides the horse out every day - he's at the University of Pegasus Stables!" The Richard Fahey-trained Growl was a fast-finishing length-second, outrunning his odds of 50/1. Graham Lee settled Growl in midfield early on in the six-furlong contest but made stealthy progress inside the final furlong, scything through the field to fbe a fast-finishing second. The four-year-old, stepping up to Group One company for the first time today, has been improving all year and finished a length and a quarter-second to Brando in the Ayr Gold Cup in September. Fahey said: "I was delighted with that performance. I would like to see the race again as I had four runners in the race so I don't know where he came from. "Graham said he was always travelling really well and I thought he was going to run a big race so it is a great result. It was a huge run and we are happy." Fahey suggested a possible trip to Dubai next year could be on the cards for the four-year-old son of Oasis Dream. He remarked: "Marwan [Koukash, owner] mentioned Dubai for him when I spoke to him just now and that could be an option. He seems to go on any ground as well which helps. "His run shows what a tough race the Ayr Gold Cup is to win and he has improved again today." 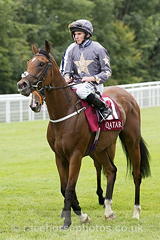 Graham Lee, Growl's jockey, said: "He has run a brilliant race. Everything went perfect for him in the race, we had a great run through and he has run a great race at a huge price."